From colors and shapes to layout and navigation, design can make or break the online experience. A well-designed Web presence can attract, hold and help convert your target customers while a poor design can drive away visitors like nothing else. Like many of the Web folks my age, I’ve taken few formal graphic design classes – I’ve learned most of what I know about design from online observation, experience and books. That’s right, I’ve learned a ton about graphic design from books, the best of which also continue to provide inspiration for my own projects. Below are four of the most useful and inspirational graphic design books in my library. I found each one on a bookstore shelf (both online and off) so head on out and pick one or more up for yourself – your creativity will forever thank you. I came across this gem while browsing at a local bookstore. 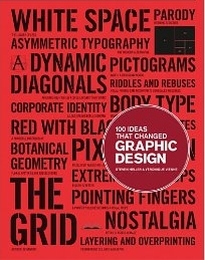 I was first attracted by the cover design which is a good thing for a book on design. Bright red, the front and back are covered with the stenciled names of the ideas included within the book. Some of the ideas that caught my eye included: Body type, white space, pictograms, botanical geometry, the grid, nostalgia, riddles and rebuses, asymmetric typography and visual puns. It’s what I found inside the book however, that convinced me to add it to my library. Well-organized throughout the book, there are 2-3 pages devoted to each design idea. On each set of pages, you can find a history of how and when that particular idea came about as well as a look at the impact that the idea had on the graphic design world. Best of all though are the tons of images included to illustrate each idea. Ranging from full-page spreads to smaller blocks scattered about the page, each image helps you understand the design visually while also providing inspiration for your own projects. No, all four books do not have a “100” theme, but this one certainly deserves to be included on this list. 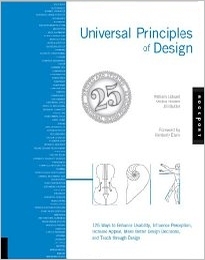 Chock-full of useful and useable information, this book focuses on how design affects human beings. This is a key element to understanding when and where to use different design elements to make the biggest and best impact. Some of the things discussed include: people scan screens based on past experience and expectations, people read faster with a longer line length but they prefer a shorter line length, unpredictability keeps people searching and people are motivated by progress mastery and control. As with the previous book on this list, the concepts are well organized into groups of pages. The best part however, is that each group ends with specific points for you to take away. This is incredibly helpful and adds tons of value. I’ve had this handy reference in my library for ages, but it’s as relevant and useful now as it was when it was first published. Inside its yellow covers, you’ll find both graphic effects and typographic treatments explained and illustrated across two pages each. The first half of the book is dedicated to images and includes concepts such as doodle, drop shadow, damage, mask, photo effects, overlap, out of register and translucent. Each design type is illustrated using a light bulb, a very effective approach that makes it easier to compare between the different effects. 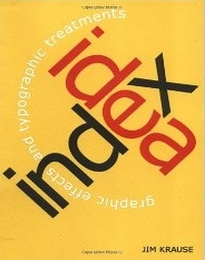 The second half of the book is devoted to type and text and includes concepts such as expand, reverse type, link/interlock, extreme weight and mixed tone. Also included are pages that explain overarching design concepts such as letter spacing, simplification, limitations and relationships. I have to admit, I saved the best for last. Not only is this one of the most fascinating books on graphic design ever, its also the most useful. The subtitle of the book is, “125 Ways to Enhance Usability, Influence Perception, Increase Appeal, Make Better Design Decisions” and that’s just what you’ll find inside. Each 2-page set both explains and illustrates a fundamental design concept that can have a profound affect on the success of your work. I truly love the way this book is written – it’s as if each and every word was considered and all extraneous words were taken away. Layering: The process of organizing information into related groupings in order to manage complexity and reinforce relationships in the information. Flexibility-Usability Tradeoff: As the flexibility of a system increases, the usability of the system decreases (this explains why most of the folks in my parent’s generation cannot use our universal remote). Progressive Disclosure: A strategy for managing information complexity in which only necessary or requested information is displayed at any given time. 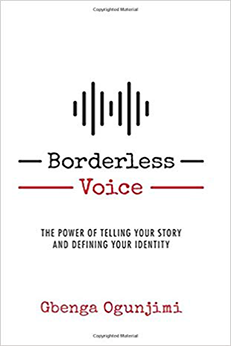 I learned a ton the first time I read through this book but you don’t have to read it cover to cover to get something out of it. The way the book is organized enables you to dip in and out of its pages whenever the mood or need, hits you. Just as reading a cookbook does not make you a great cook, reading these four books will not make you a great designer. 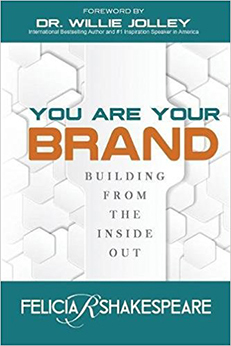 What they will do is give you a much deeper insight into the elements of great design and a much broader view of how you can use design to attract, hold and convert your target customers. 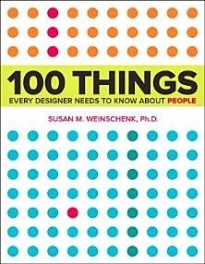 Your link to 100 Things Every Designer Needs to Know About People actually links to 100 Things Every PRESENTER Needs to Know About People, and the cover picture is also from the latter. Thank you, Erica! You are absolutely correct – we messed up in the editorial process. I see the titles and book covers are very very similar. We’ve now fixed the issue. David – glad you enjoyed the post! 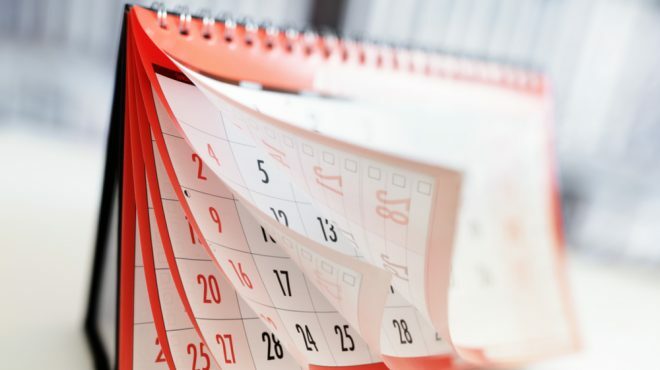 Don’t let a busy schedule keep you from picking up any of the books. The best thing about all four of them is how they’re designed to be browsed and consumed in small chunks. That’s just perfect for a quick “inspiration” fix when needed. Great book suggestions, I’ll have to read them! Glad you enjoyed them – have fun reading!